Is it Time to Refresh Your Spirit? Wow! What does that even mean? 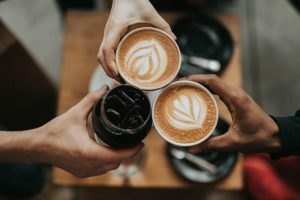 As it turns out, I just need – and want – time to do nothing but reconnect with myself and my friends, make new friends, chat over coffee, chat over a great glass of wine and just C-H-I-L-L! My Spirit just wants to BE…no pressure, no time restraints…just, plain old-fashion connection, day after day after day! I’m not talking about going to a Spa and relaxing…that happens when I’m feeling over-taxed. I’m not feeling over-taxed. That is why, I believe, this seems so paradoxical to me. The more I thought about refreshing my Spirit, I realized that as much as I enjoy the path my life is on right now, I have only paid a little attention to my Spirit…My free-spirited little Ruthie. The one that would go to Disneyland right now, if I had a fun friend to go with. The little Ruthie that wants to go on the new train extension from Santa Monica to downtown LA, randomly get off at a stop and be open for the adventure that unfolds. Uncovering this even further, I realize that my life is quite structured. It’s not that all my time is planned out from morning til night. The truth is, I have a lot of “open” time most days from 4pm on and almost all weekends. So, it’s not about pulling away for more time. Not your ego, that says you “have to” be practical, etc., but your free-spirited self? And, are you open to refreshing her/him? Until next time…be Brilliant and Courageous…Why Not? Financial Saboteurs: Any Show Up for You in 2018? Limiting Beliefs and the Pieces of Generation Why Not? Intentional Certainty Brings Clarity…Even On a Trip to New York!